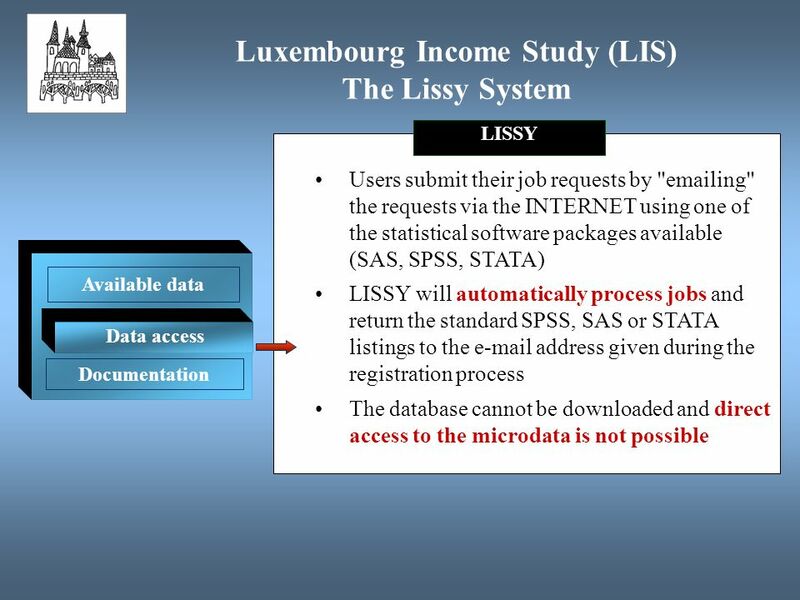 Luxembourg Income Study (LIS) asbl 17, rue des Pommiers L-2343 Luxembourg –City Tél : +(352) 26 00 30 20 Fax: +(352) 26 00. 7 User Support services (even transparent) Secure agreements with all of the data provider (e.g. 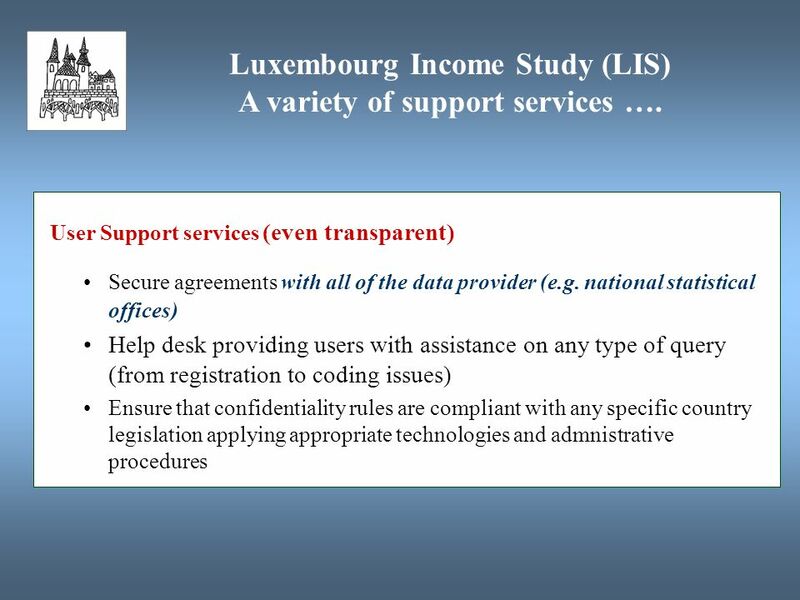 national statistical offices) Help desk providing users with assistance on any type of query (from registration to coding issues) Ensure that confidentiality rules are compliant with any specific country legislation applying appropriate technologies and admnistrative procedures Luxembourg Income Study (LIS) A variety of support services …. 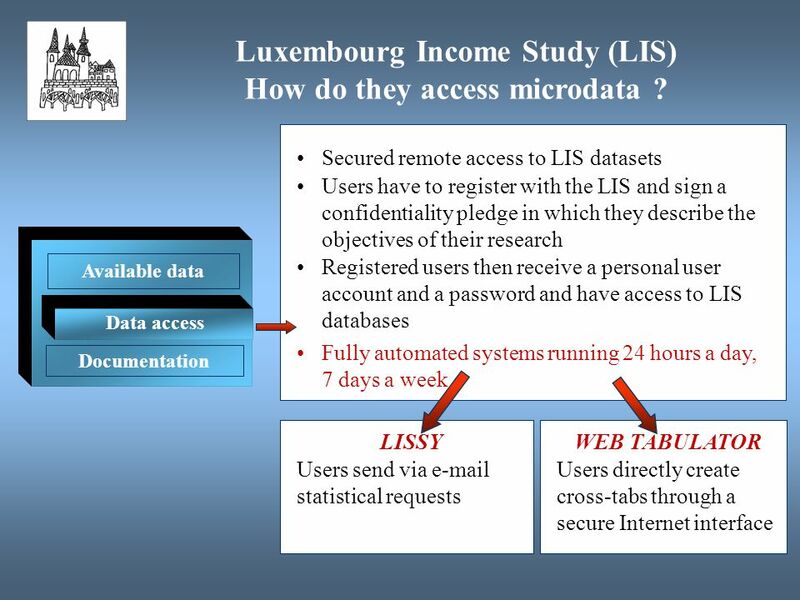 10 Documentation Data access Available data Secured remote access to LIS datasets Users have to register with the LIS and sign a confidentiality pledge in which they describe the objectives of their research Registered users then receive a personal user account and a password and have access to LIS databases Fully automated systems running 24 hours a day, 7 days a week LISSY Users send via e-mail statistical requests WEB TABULATOR Users directly create cross-tabs through a secure Internet interface Luxembourg Income Study (LIS) How do they access microdata ? 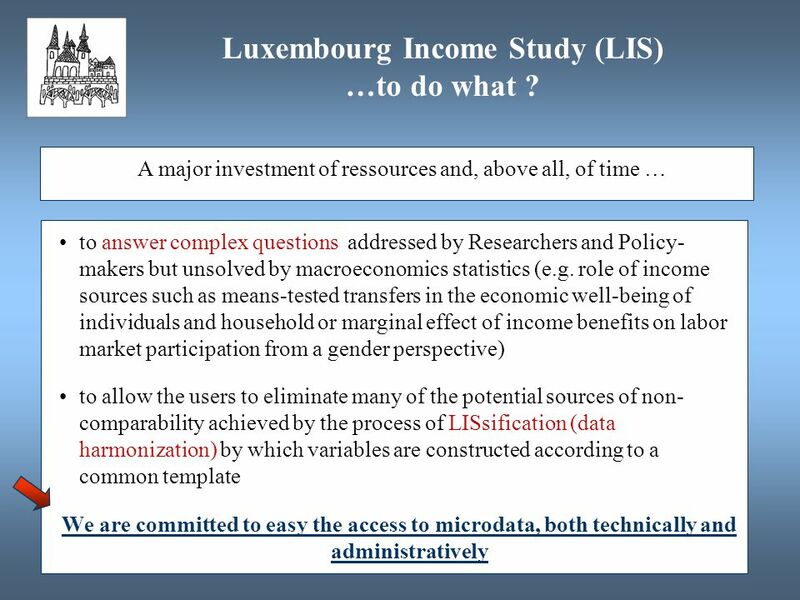 Download ppt "Luxembourg Income Study (LIS) asbl 17, rue des Pommiers L-2343 Luxembourg –City Tél : +(352) 26 00 30 20 Fax: +(352) 26 00." ARK is a resource dedicated to making social and political information on Northern Ireland available to all. 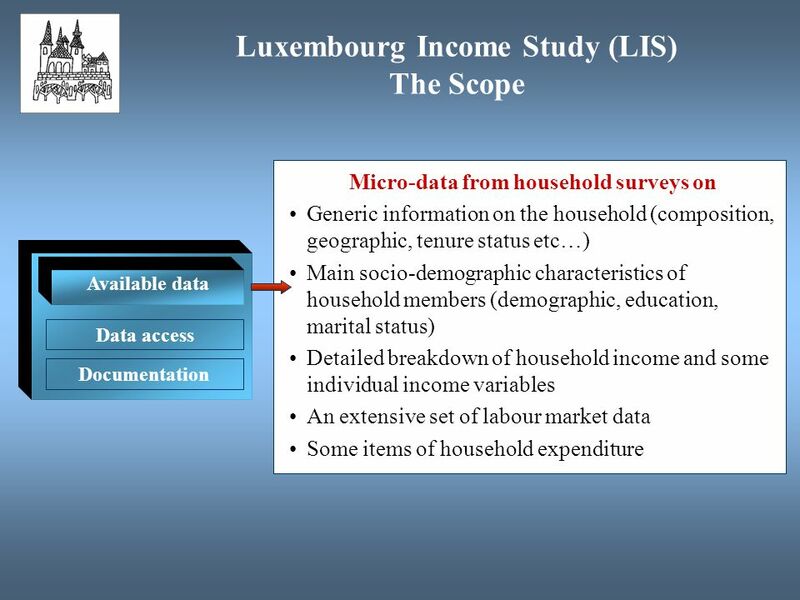 How do public policies affect individual households? 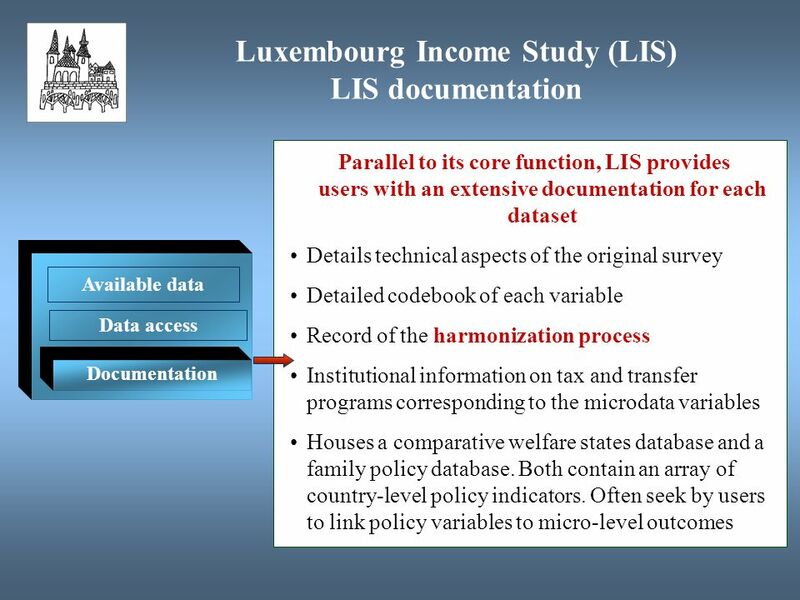 Design and uses of EUROMOD: an EU-wide tax/benefit model Herwig Immervoll OECD IZA, Bonn ISER, University. 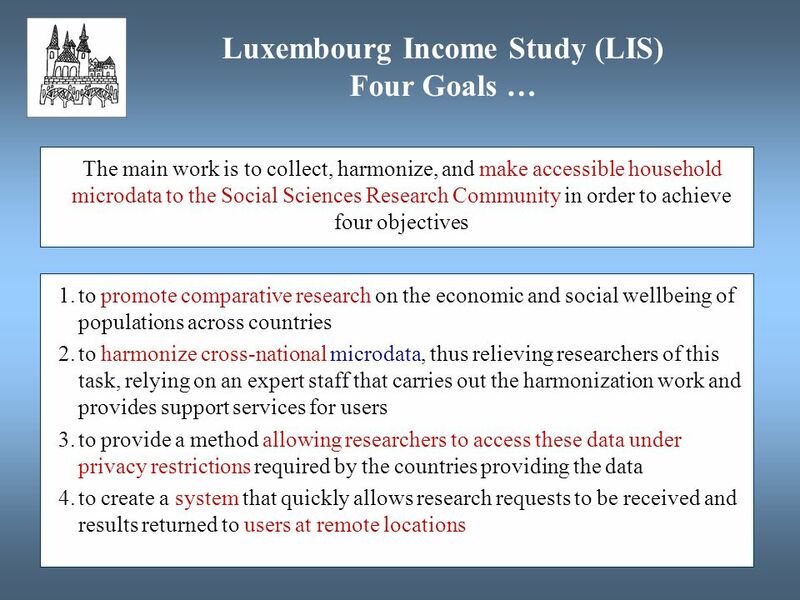 Archiving Trevor Croft MICS3 Data Archiving, Dissemination and Further Analysis Workshop Geneva - November 6th, 2006. 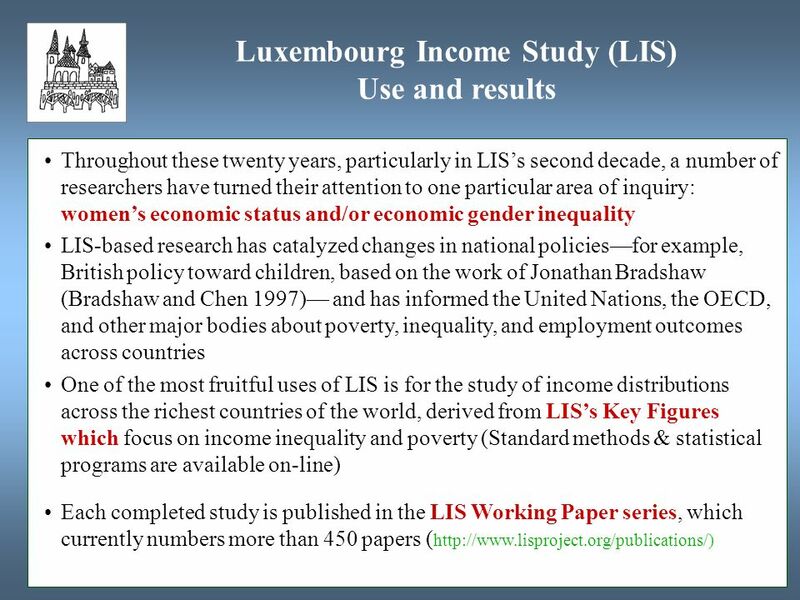 ESA/STAT/AC.219/15 Survey Analysis for Gender Indicators Sulekha Patel Development Data Group World Bank Manila October 11, 2010 ESA/STAT/AC.219/15. National Seminar on Developing a Program for the Implementation of the 2008 SNA and Supporting Statistics in Turkey Tuna KEMALİ 10 September 2013 Ankara. The Economic and Social Data Service (ESDS) Kevin Schürer ESDS/UKDA ESDS Awareness Day 5 December 2003. 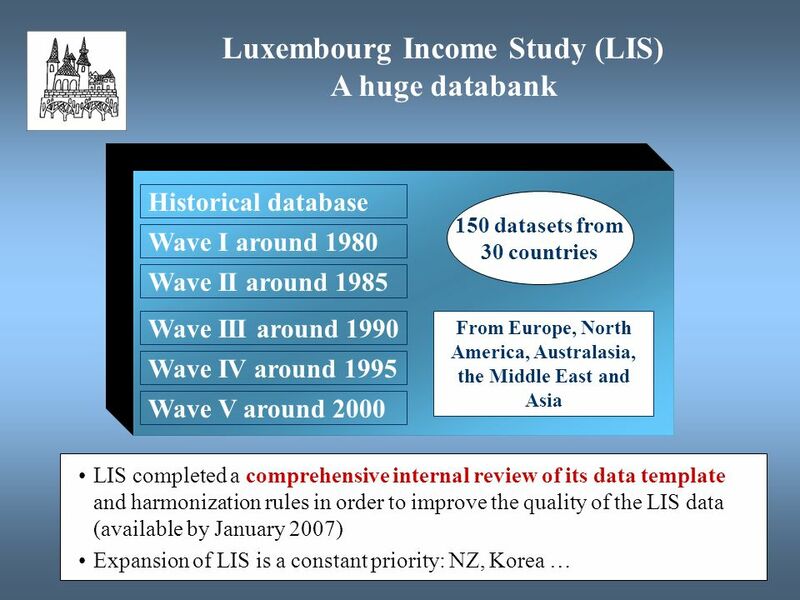 Karen Dennison Accessing international survey data collections via ESDS British Academy, Tuesday 14 March 2006 ESDS International. 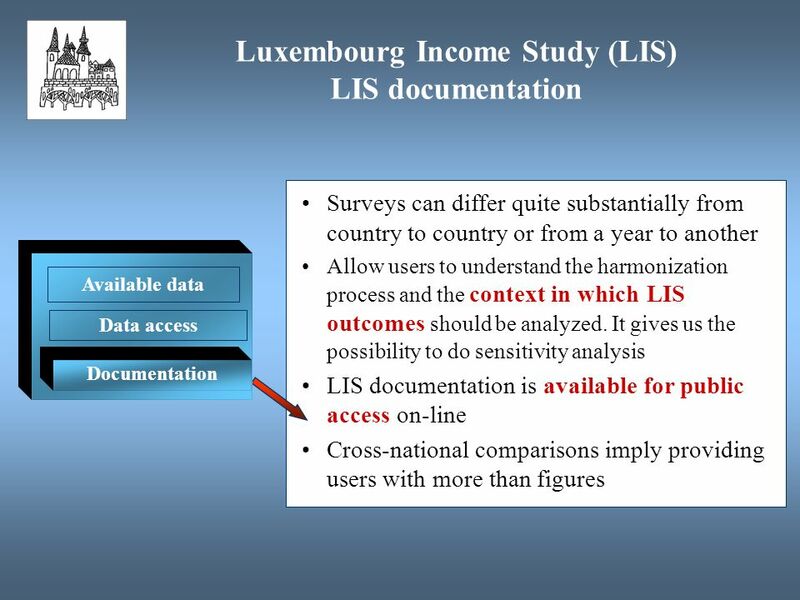 ESDS International: providing access and support for international databanks Celia Russell Economic and Social Data Service MIMAS ESDS Awareness Day Friday. An Introduction to the UK Data Archive and the Economic and Social Data Service November 2007 Jack Kneeshaw, UKDA. 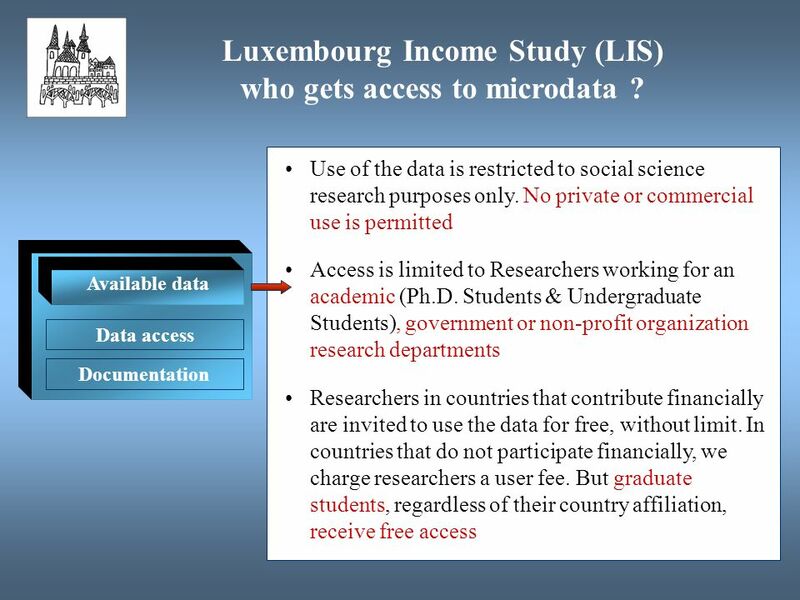 Economic and Social Data Service a distributed data service for the social sciences. 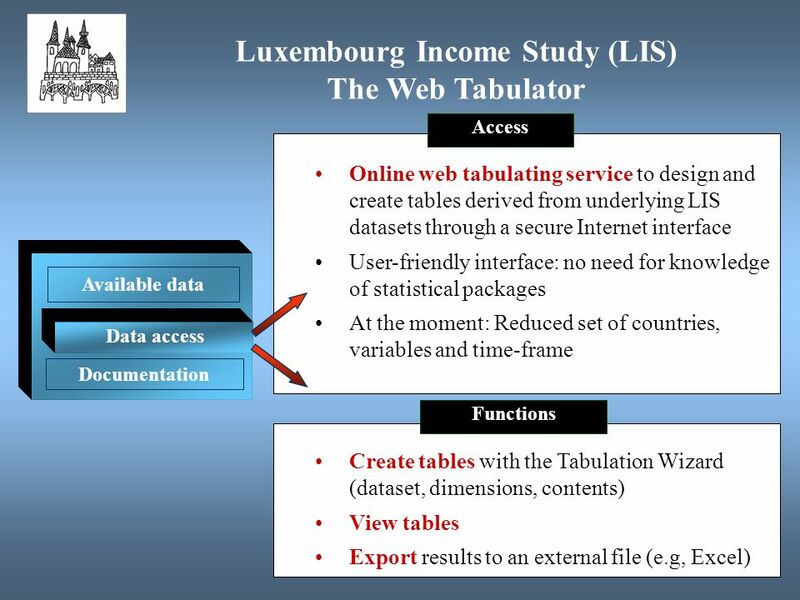 International data themes Databanks cover: economic performance and development trade, industry and markets employment demography, migration and health. 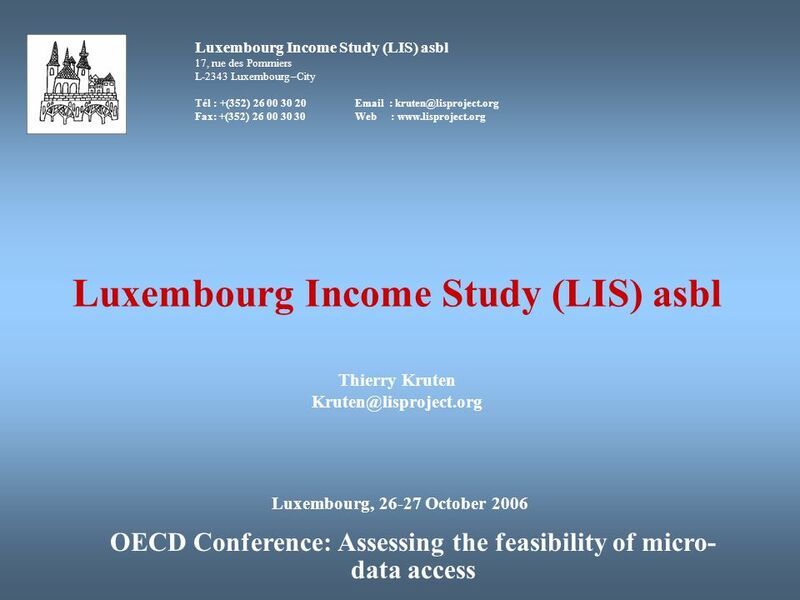 The Economic and Social Data Service (ESDS) Karen Dennison UK Data Archive Improving access to government datasets 18 January 2007. 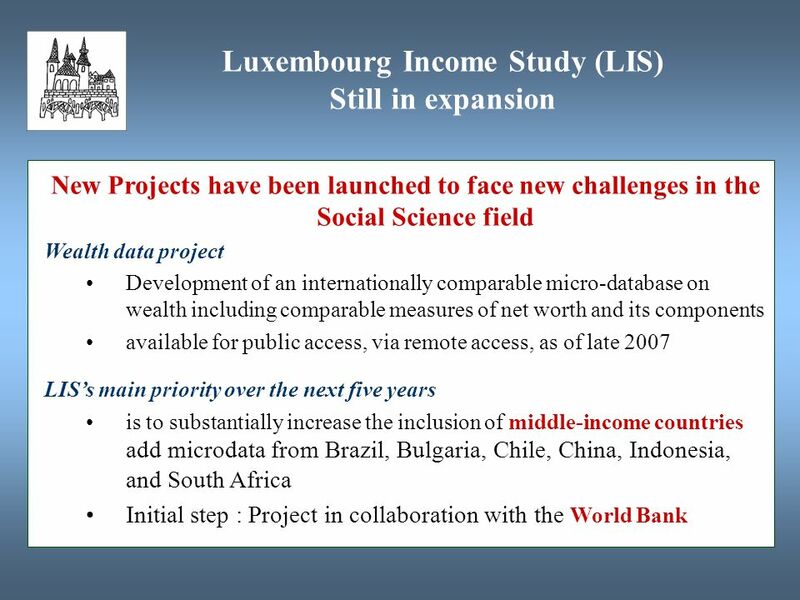 ESDS International: providing access and support for international databanks Celia Russell Economic and Social Data Service MIMAS Using Government Surveys. 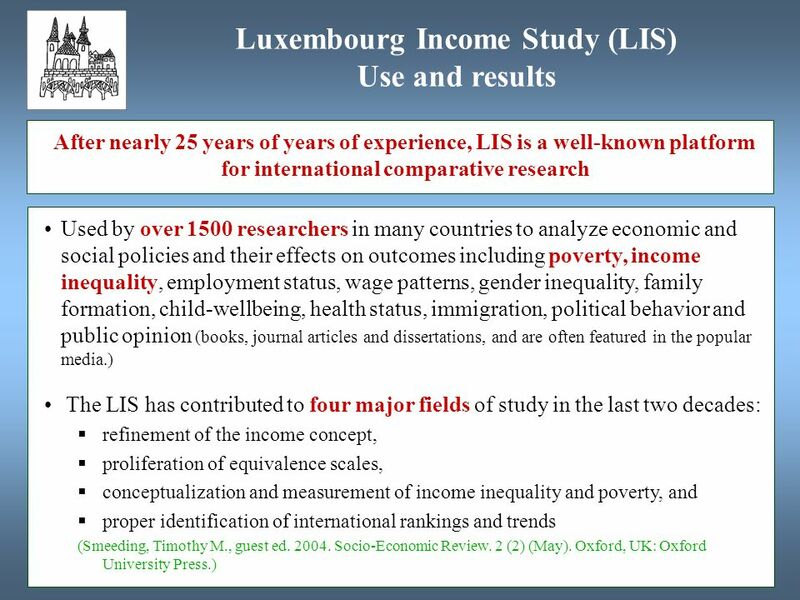 Celia Russell Economic and Social Data Service University of Manchester November 2008 Aggregate data resources: the UK in Europe. Data and Resources for Learning and Teaching from ESDS Government ESDS Government data and resources Issues for teachers. 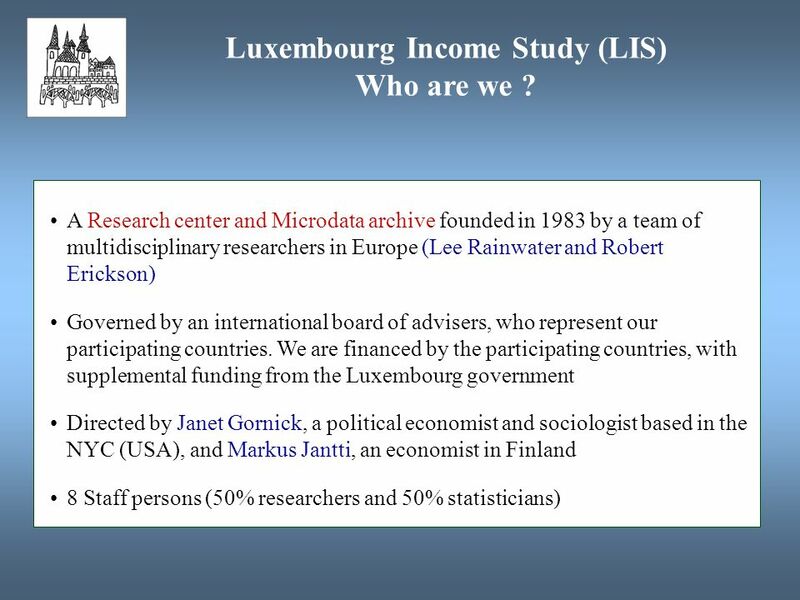 1 Economy and Poverty Bratislava, May 2003 Jean-Etienne Chapron Statistical Division UNECE.